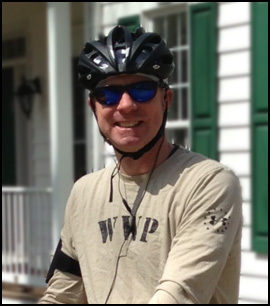 Carter's Fundraiser - A long-distance bike tour to benefit the Wounded Warrior Project. Carter Rides Again is a long-distance bicycle tour to benefit the Wounded Warrior Project. It is Carter Dages' second cross-country fundraising ride. Sponsors at home and on the road will support Carter as he rides west from Portland, Maine, promoting the Wounded Warrior Project. to those and their families who gave so much.